Dressing, bathing, grooming, transferring, toileting, and other personal care tasks can be difficult for your loved one if they are frail, injured, recovering from surgery, or simply have limited mobility or cognitive abilities. 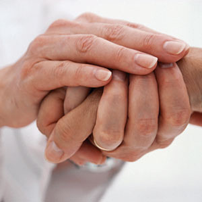 If your loved one has long term care insurance they may be eligible to claim benefits based on personal care needs. If your loved one lives with you, you may be able to help them with many of these tasks, but be sure to take care of your own health and avoid caregiver burnout. Other solutions include using mechanical safety devices, hiring a professional personal care aide or agency, utilizing an adult day care center or PACE program, or choosing a residential assisted living community. See the Related Articles below for information and resources for personal care. For help depterming the right personal care solution for your loved one, Contact Care is There today for a free consultation. If You Can Face It, I Can Face It!